The North American citrus season is in full swing and is now approaching peak volumes for a number of citrus varieties. 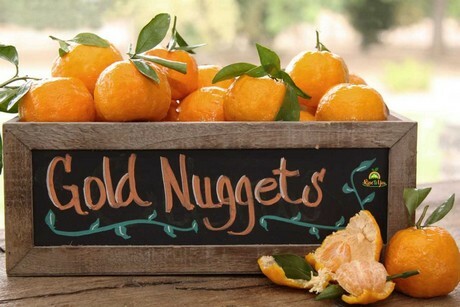 Mandarins are a well-established citrus category, with the stem & leaf option also doing well, according to shippers. 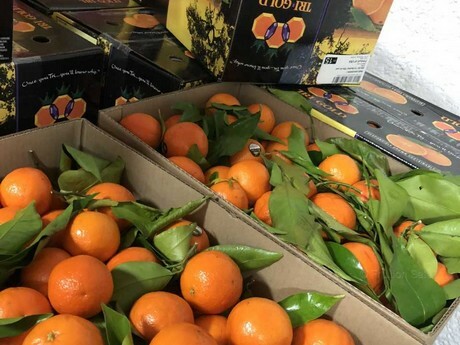 For Fruition Sales based in Reedley California, there are still several months to go for the stem & leaf mandarin season. "In our area of Central California, the harvest typically starts in late October-early November," shared Sandra Bertelli of Fruition Sales. "We offer a stem and leaf option on mandarins from November to May, encompassing several varieties. Our first variety of mandarin available with leaf is the Satsuma mandarin." According to growers and processors, it takes more care to produce stem and leaf mandarins. This is because all the fruit has to be hand-harvested so as not to damage any part of the leaves and stems. They're also shipped rapidly in order to maintain the freshness of the leaf. Suppliers say the demand for them is growing, with consumers showing interest in both the freshness aspect, as well as the celebratory presentation. "The fruit is clipped from the trees carefully to include the leaf in the clip," Bertelli noted. "The leaf is a wonderful barometer of the freshness. Mandarins with leaf are harvested and shipped within 24-36 hours of harvest, so the leaves will remain fresh when they arrive at their destination. Consumers are becoming more educated and aware of the seasonality of produce." "There is strong demand for mandarins with stem and leaf throughout the citrus season," she continued. "The demand is particularly strong before the winter holidays and in the weeks leading up to the Lunar New Year." If the popularity of stem and leaf mandarins is growing, why can't producers also ship other citrus varieties in this manner? The answer unfortunately has to do with citrus greening. While stem and leaf mandarins can be made available in any region that grows citrus, there is a restriction of movement for other citrus varieties due to quarantine regulations, with only mandarins currently allowed to be shipped with leaves. "The program is most likely not going to be expanded to other varieties," Bertelli explained. "In California there are quarantines in place that restrict and/or regulate the movement of bulk citrus. The quarantines are in place to protect the California citrus industry from the Asian Citrus Psyllid and the disease it spreads, HLB. The psyllid can be spread during the transportation of fruit from the field to the packing facility. Mandarins are the only citrus commodity with leaf that can be shipped in and out of these quarantine areas, after processing. The industry is tightly regulated to slow the spread of HLB which could devastate our industry, much like it has in Florida, where citrus growers lost $2.9 billion in revenue between 2007-2014." Bertelli said that mandarins with leaf are generally available in bulk cartons or in smaller consumer packaging such as a clamshell. She also said that this is not the only citrus program the company has running at this time of year, with many more citrus varieties available throughout the season. 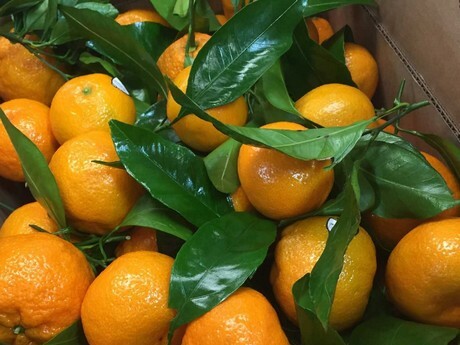 "Harvesting and packing mandarins with stem and leaves is one of the many things that we do. The growers and ranches of Ripe to You® supply over 40 varieties citrus from October-June to customers across the USA and abroad."